Are you looking for a stylish, roomy sedan at a great price? If so, then 2016 Nissan Altima is the car you have been looking for! At Woody Folsom Nissan of Vidalia we always have a big inventory of impressive Nissan cars, trucks and vans in stock. Our mission is to help you find the right vehicle at the right price. We pride ourselves on offering great service before, during and after the sale. You can visit our showroom in person, or just browse our current inventory on our Web site. Our dealership just down the road from Vidalia, Georgia, Ailey, Soperton, McRae, Lyons, and Swainsboro. Contact us and take a test drive in your next car, today! Get comfort, power, economy and handling in one reasonably-priced sedan. With a 2.5-liter 4-cylinder engine, producing 182 horsepower, the base Altima offers plenty of go-power and a respectable 27 city/39 highway miles per gallon. If you want more horsepower, you can opt for an Altima with the available 3.5-Liter, 270 horsepower V6. You can also get a paddle shifter with a manual shift mode, to produce a sportier driving experience. The Altima's modern independent suspension, four-wheel disc brakes with ABS, and front-wheel drive make it easy to handle the road even if conditions turn bad. The continuously variable transmission delivers smooth shifts and improved fuel economy. We know the Altima will impress you with its power, handling, and ride. Safety is a priority at Nissan, and this is evident in the Nissan Altima. You can drive just about anywhere with confidence thanks to the long list of safety and security features on the Altima, which includes a modern body structure that makes the Altima tougher than it looks. The standard ABS, traction control system, and all-season tires help you stay in control on the road, even when road conditions turn bad. Tire pressure monitoring helps you avoid being stranded by a flat too. The Altima's active understeer control helps you take corners with greater confidence and safety. Inside, front airbags, side-curtain airbags, and side airbags help keep passengers safe if things go wrong. A security system and vehicle immobilizer help to secure the car and its contents. You can drive an Altima with confidence! 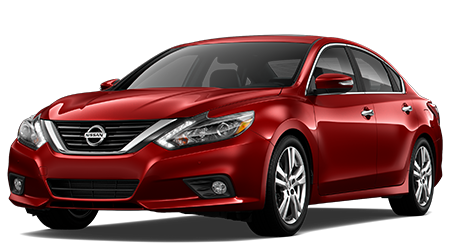 The facts about this car tell the tale - the bold, daring 2016 Nissan Altima has the competition beaten! At Woody Folsom Nissan of Vidalia we look forward to helping you find just the right vehicle in our extensive inventory. 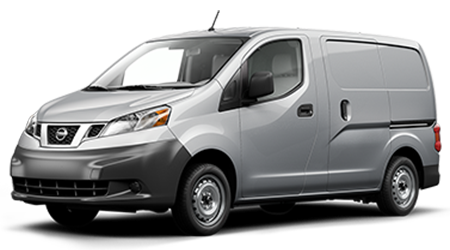 We are confident that one of our in-stock vehicles will work for you, Search our inventory online any time. Stop by our dealership at 1609 East First St near to Nissan buyers in Vidalia, Georgia, Ailey, Soperton, McRae, Lyons, and Swainsboro. We look forward to helping you find your next car.